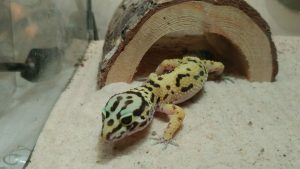 gecko | "A Stitch in Time"
Since we were asked to babysit a leopard gecko I figured why not make it a learning opportunity? Live example right in the classroom and all. 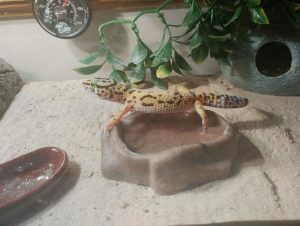 Gavin was put in primary charge of all things gecko. There are also crickets and mealworms to manage (I was doubly excited that he could handle those, bugs are not my forte). We printed out a calendar to manage the schedule of feeding, cleaning and sorting out of the living food needs. It was very interesting to see how much work this pet is in comparison to Momo and Neko-Chan. Though I think the chinchilla still wins on the basis of her picky nature in regards to her pellets and the short list of woods she is allowed to consume safely. 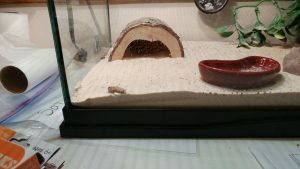 Though the gecko has a cool red and blue set of lights, a rather awesome half log, and food that he has to chase down. Poor Momo is quite tame in comparison to these two exotic pets. 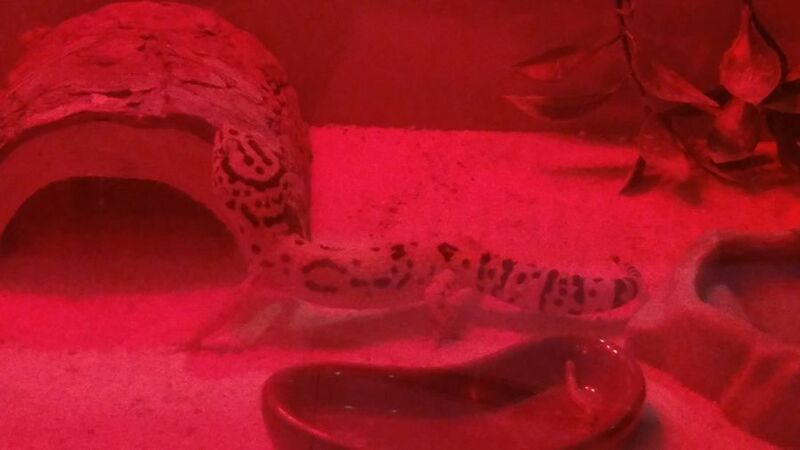 It was quite exciting to see the gecko out and about our second night. And in the morning it looked like he had been busy hunting down his dinner. Though the mealworms really don’t require much of a hunt. 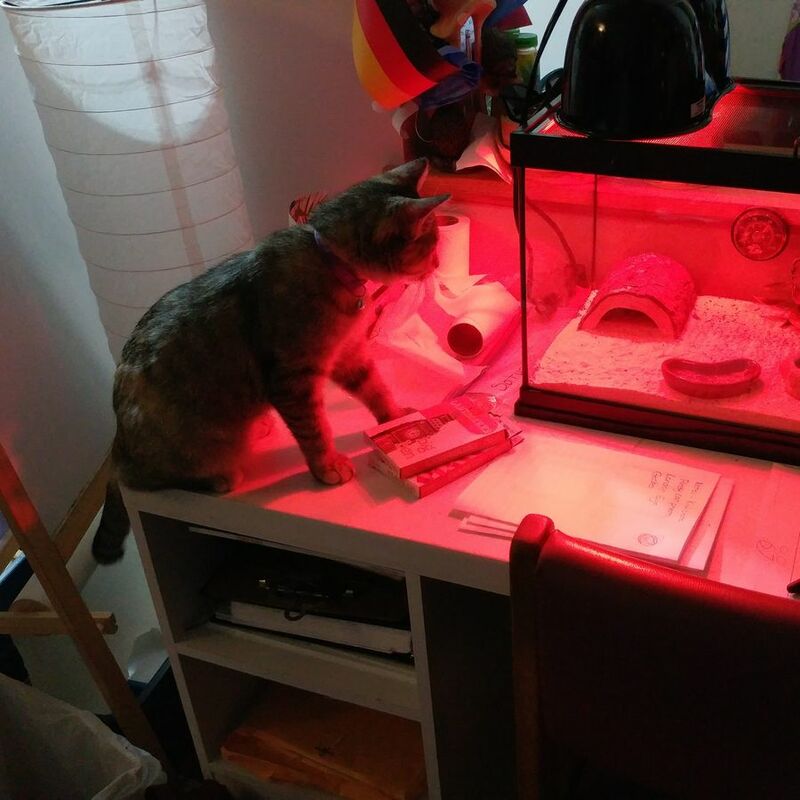 It took Momo until the very end of the week to actually notice the intruder on her domain. Chinchilla smells and acts more alluring apparently! But once she did notice… life got more interesting for us all as we had to keep her away from tank AND crickets! I hopped on my favourite sites and gathered up some resources. 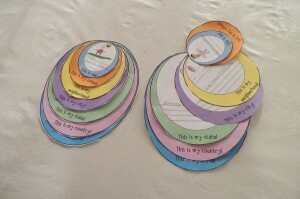 First off, for a full unit… Kidskonnect HERE, it is best printed out in colour really. 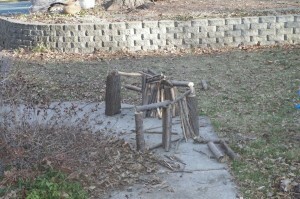 I created a collection on Education.com with their offerings HERE. 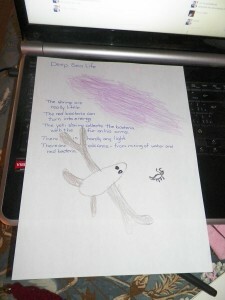 TwistynLeopard oodle.com has a nice trace and write page for the word “gecko” HERE. 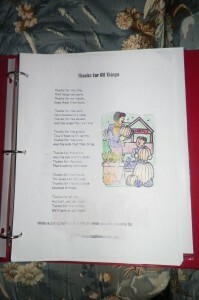 Easyscienceforkids.com has a worksheet and resource material HERE. Kids National Geographis has a lovely fact page HERE. For some good images of the marked body parts check out Tweetboard HERE, but be warned there is an actual image of the internals like you would see in biology lab. Reptiles Magazine has an interesting run down of care of a gecko pet HERE. 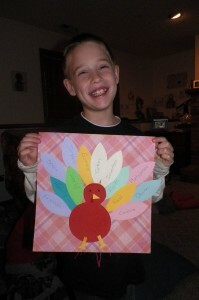 Kids Puzzles and Games has some fun worksheets HERE. We spent some time finding interesting facts about the leopard gecko. For instance did you know that geckos can be found everywhere but Antarctica? Gecko’s eyes are 350 times more sensitive to light than a human ‘s. Gecko’s tails are a reservoir for fat and if it is pulled off they will return to eat it to keep that fat store! 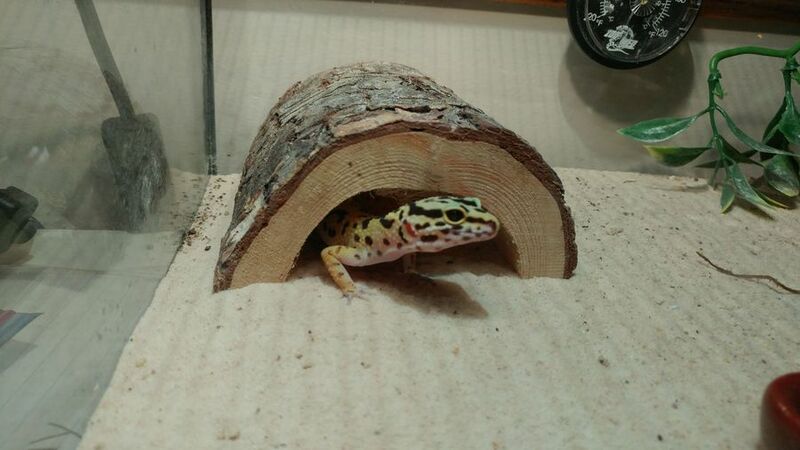 Geckos can reporoduce without a male but that gecko will be more prone to illness and early death. Yup, interesting little critters! 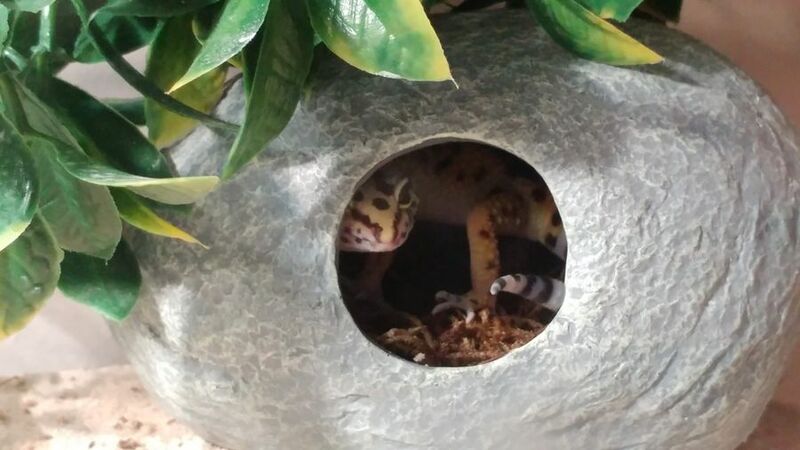 So while the gecko was an interesting pet to sit for, and the kids found it quite the perfect distraction Momo and Neko-Chan still are our favourites. 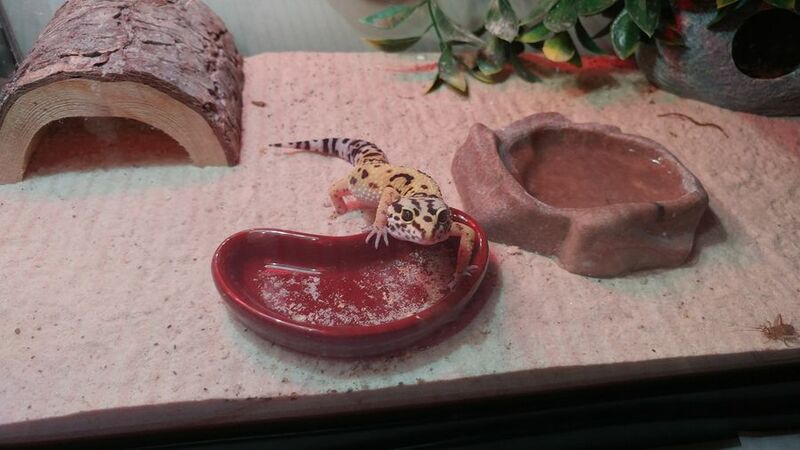 I am not sure I could ever get used to the crickets and mealworms to be honest. Thank goodness for Gavin and his lack of squeamishness over bugs. Successful pet sitting under our belts, what is next for our summer? Don’t forget our last turkey! And then there was the final push to complete Thanksgiving. I think with meeting Santa for the first time all thoughts were firmly placed on Christmas though. 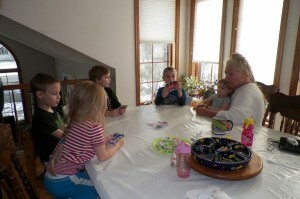 Of course first the kids HAD TO play UNO with Nana! 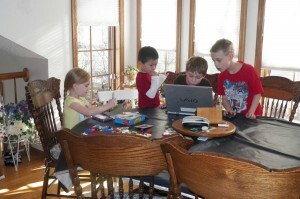 A brand new deck of the cards made its way into the house and the kids were in heaven!! Zander and Gavin FINALLY finished there Where I am books I had found online… this one goes from I am… to This is my world. For each level they draw the location going all the way up to the earth. It was a fun way to remember our country, state, etc information. 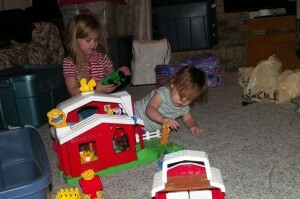 Nana and Baba came home Wednesday night from their Gabriella and Zachary visit with a large Little People farm set. I thought Echo would just go to pieces in joy in the morning!!! 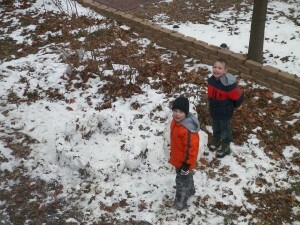 Thursday the twins took advantage of the quickly melting snow and created a snow man and some sort of small snow fort. They are so confused by the lack of snow. Wild Kratts has been a huge help with their animal centered episodes. 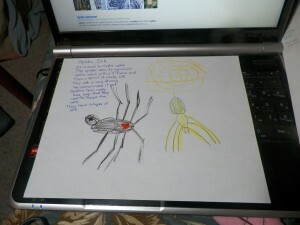 Here are two pages the 3 boys have created lately! Again now a HUGE busy day… BUT we have news… Karyn is coming to visit in January… I am beyond excited!!!!! I can’t remember if I shared the Gecko one but I love the work they put into these! Mondays always feel a little hectic. And this Monday we felt doubly rushed as we really had a TRUE weekend with visits and errands AND a lazy Sunday morning. It was fun! Monday was Ken’s day to teach for once. We worked on a list of to do stuff for them the night before and set it all up so they could work together without me. So I actually got to SLEEP IN properly on a WEEKDAY! It was so nice! And as an added bonus, they did pulleys together! 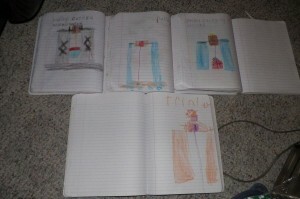 Note the amazing drawings in their journals. 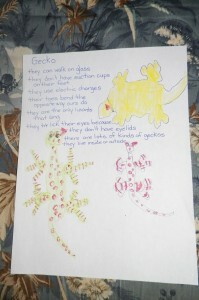 We watched a Wild Kratts episode on Geckos so the boys drew pictures and we recounted what we learned on a special page. The boys are talking about making a poster of random animals of interest. I am all for that! 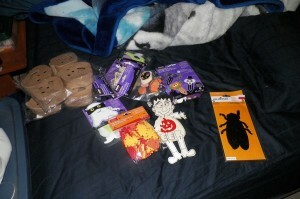 I got a package in the mail that included some special Halloween craft supplies for the kids! I am doing an exchange with my Christian cross stitch group and am almost to the point where my gifts are ready to go! 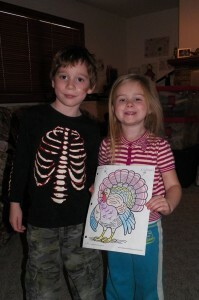 With ink in Nana and Baba’s printer (though colour is eluding us) Tuesday was a Thanksgiving print out frenzy! 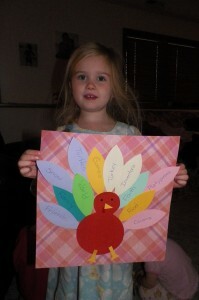 Of course first we had to decide what we were thankful for! We also taped our poem… it took FOUR tries with Echo definitely not in the mood to perform and some miss starts to get it going. This poem was a lengthy holiday one I found in one of my saved resources and a lot of fun as we came up with various gestures to go with it! 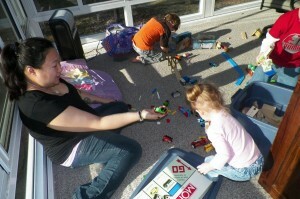 After worksheets and a dinosaur and some cleaning it was time for GUESTS! 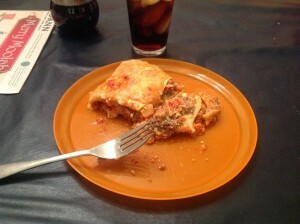 Bree and Quinn came to play… and to make us real honest to goodness homemade lasagna. (So amazing!) This also meant that Bree and I got a chance to run out kid free to Target to get supplies, wander a bit and talk about girly things (I am still on the fence as to what colour I should colour my hair!). 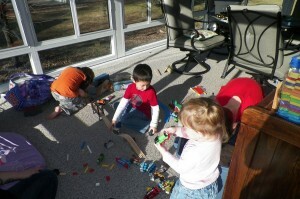 The kids played indoors and outdoors but mostly trains! And then Echo decided to see how big of a bump she could get with tipping a kitchen stool onto her head! And trust me, it looked worse later… check back to see! 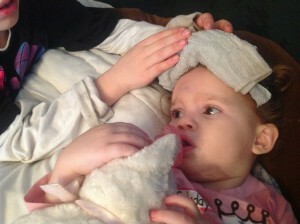 Thankfully she has terrific big brothers who are willing to hold the cold cloth and ice to the bump for a while while they watched Jake and the Never Land Pirates! With an AMAZING lasagna for dinner already there for me to warm and serve my evening was mainly crafting and dealing with an injured infant. Time to welcome the Nana and Baba home! Those 3 weeks sped by. Thank you so much for the supper Bree!